Lynn Shepherd was born to Charles and Mary Shepherd on 30 November, 1795 at Daybrook, on the eastern side of Arnold, Nottingham, England. He was the third child born to the couple who were to have a total of eight children. Their first child was a daughter Ann born about 1791. William, born in 1792, was the first of eight sons, followed by Thomas two years later. Lynn was next to be born in 1795, and he was baptised in the family church, St Mary’s in Daybrook, Arnold. Timothy was next to arrive 1797, with brothers John in 1799, Charles in 1801, Job in 1805 and finally Henry in 1810. Lynn appears to have been named for his mother’s family, her maiden name being Lin. It is unlikely that any of the children attended school but would have been put to work at an early age in the family business. Lynn’s father was a framework knitter and as was common in those days the whole family would have been involved in the production of hosiery. Husbands and older males of the family operated the frames while wives and female children spun the yarn and ‘finished’ the hose. Life would have been a struggle and Lynn took up employment as a boatman, manouvering boats pasts bridges where there was not enough room for the horse’s bridle track. This was arduous work and by the time Lynn was 17 tears old he sort alternative employment. Lynn joined Captain Culver’s Company, part of the 69th Battalion, Regiment of Foot. Lynn is described as 5 foot 7 inches in height, light hair, hazel eyes and fair of complexion. He signed his enlistment papers with an X indicating that he was illiterate. Initially he was stationed in Ireland but in 1813 he was part of the force sent to South Beverland to relieve Antwerp but they saw little action. This was to change. 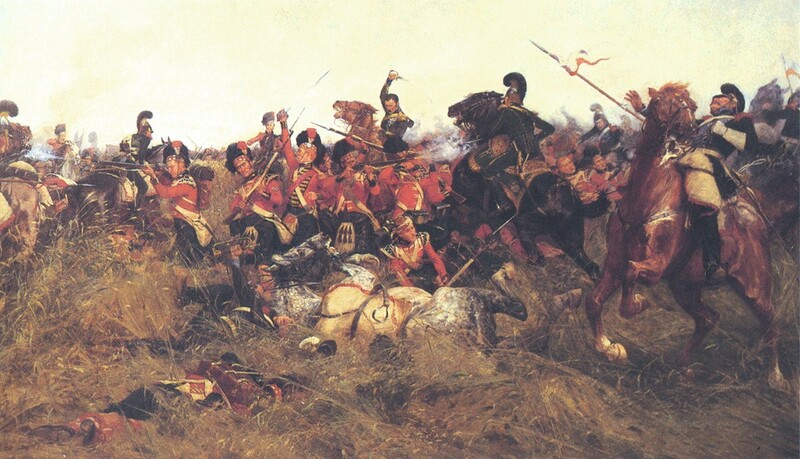 On 15 June 1815 the 69th Battalion was at Quatre Bras when Napoleon attacked the combined, British and Prussian armies. Lynn was wounded during this battle. The description of the battle at Quatre Bras is horrendous. The battalion was caught trying to form square by the French curraisiers, with disastrous results. Whether the result was due to poor command or whether it was the height of the crops, the rye being so tall that the French cavalry were not spotted by the infantrymen until nearly upon them, a disaster for the 69th ensued. By 1816 Lynn was no longer considered fit for duty. His discharge certificate states “In consequence of a wound on the left ankle received in action with the enemy at Quatre Bras on 16th June he is rendered unfit for further service and is hereby discharged”. He was awarded The Waterloo Medal for his service. 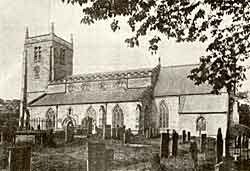 Lynn returned home and at 21 years of age he married Elizabeth Mariner in the family church of St Marys, Arnold. on 23 June, 1817. He was not fit to return to his work as boatman so once again took up work as a framework knitter. The first of their children, Mary Ann, was born in 1818 followed in 1820 by a son, Charles. By December 1819, before the birth of his second child, Lynn had realised that the low wages of a framework knitter were insufficient to support his family. Lynn once again enlisted, this time with the 4th Royal Veteran Battalion. The Battalion was transferred to Paisley in Scotland and he was located there until his discharge on 1 June 1821. Elizabeth had accompanied him to Scotland and was pregnant with their third child, Leonard when they returned to Arnold. Leonard was born in 1821 but only lived for 14 months. It was to be another three years before the birth of William in 1824 and possibly a twin, Thomas. In July 1825, William died, there is no record of Thomas and he may have died shortly after birth. There were a number of infant deaths in the Shepherd families around this time probably due to the poor living conditions they experienced. Once again Lynn looked at returning to his military career and in December 1825 he enlisted in the Royal Veterans Corp bound for New South Wales. The commission was for two years, the pay was high, and there was the possibility of a grant of lands at the end of two years. It was an opportunity that he could not reject.